It's been close to a year since I've written a blog post. At the beginning of the year I had all kinds of ideas for the blog and I was determined to get back to it. Fast forward two months and all I can think of is surviving the school year and my trip to Florida. That said, I still post my culinary masterpieces to my FB page and Instagram...quick and easy. In the last few months I noticed more and more interest in my FB page and my website with regular subscriptions to the blog. It was like little nudges every once in a while to get back to doing what gave me so much joy. 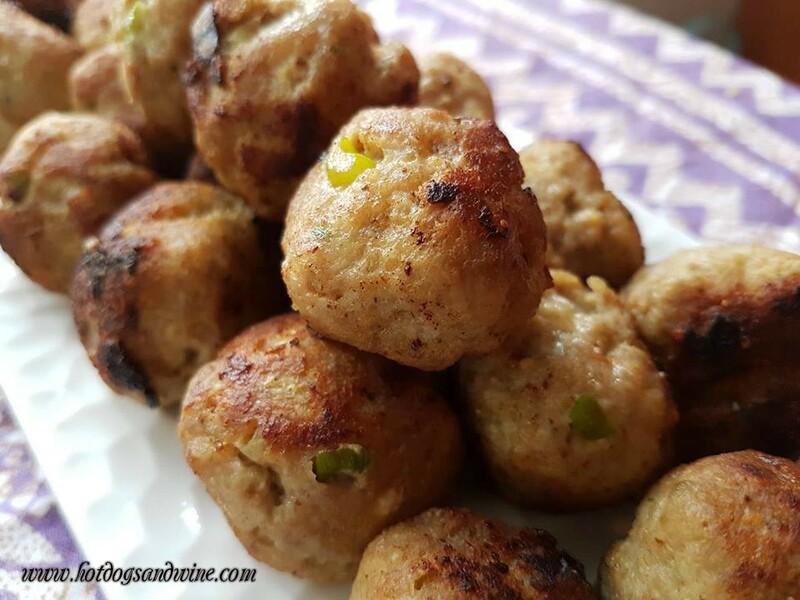 My first blog post was supposed to be about green mush but this weeks FB /IG post of my lemon turkey mini meatballs stirred up so much interest and requests for the recipe that I had to write it up. I LOVE meatballs with or without sauce. I find they are a quick little energy boost packed with delicious flavor. It also helps that they are easy to make. This week I bought a pack of ground turkey (approximately a pound and a half of meat) and I remembered a recipe I had seen a few years ago on a food show in the South Pacific. The chef had used lemongrass and ginger and it always stayed with me. Seeing as I didn't have any lemongrass handy I decided to use the grated lemon rind and freshly squeezed lemon juice. It turned out even better than I expected. My husband and daughter devoured them. The following are approximate measurements for my one bowl lemon turkey mini meatballs.